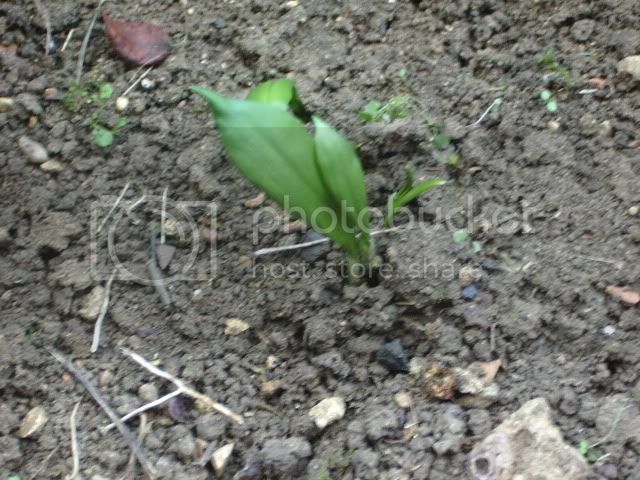 A large area of my flower bed has become covered by what I always thought was wild garlic. It certainly smells of garlic when I tread on it. However it looks nothing like the pictures I've seen on websites. They all show broad leaves like Lily of the Valley, whereas mine has long thin leaves more like grass. It does, though, have a small bulb at the base. There's so much of it I would like to use it in the kitchen, but would naturally like to be certain it is wild garlic before I use it. Sorry, have not got piccy, my techno side hasn't worked out how to post them yet! I started out with nothing.....and I've still got most of it. Is this a variety of wild garlic and is it safe to eat? Sounds more like field garlic, we have it in our garden. Have a google for that, and yes I believe it is edible, the stalks are quite tough, but nothing to stop you crushing a bulb or two for flavouring. Could it be garlic chives? I demand the right to buy seed of varieties that are not "distinct, uniform and stable". Could it be one of the more stronger flavored chives ? It is probably field garlic. Field garlic and wild onion (also called crow garlic) are similar with narrow leaves. The flower head of the field garlic has 2 bracts round the flower head, wild onion has only 1 bract. The head of both forms bulbils. They are edible. This is wild garlic, it's just outside my door. Agaric, no it's not got such broad leaves. The leaves are much thinner and longer, so long in fact that they tend to flop over just like very long grass. The bulb is more rounded and white, like a miniature cocktail onion. It is very rampant and has appeared very quickly this spring presumably because bulbs were left in the ground last year, when it covered a large area (about 2 yards x 3 yards - sorry only work in old money). Will explore the possibility of it being a sort of chive - hope so 'cos there's boatloads of it! Will also try to get photo posted. A miniature cocktail onion described the bulb well. Again, thanks. Whilst typing my last reply Salmo and Ice posted. I now believe it's Field garlic. Looked at photos and video on other sites and they look like what I've got. Interesting Salmo is in P'boro as I'm in a village just outside, to the East. Some websites say that it is somewhat rare! Not in my garden its not! Good site from USA (Kitchen Garden) where lady says that basically any unknown plant that smells of either garlic or onions is safe to eat. So will give it a go, may pickle some of the bulbs. If I'm still alive later I'll let you know how I get on. I don't eat the bulbs, just use the leaves in salads, omlettes etc. This is Wood Garlic, also called Ransoms. Page created in 0.332 seconds with 35 queries.